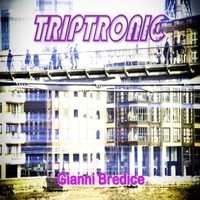 Gianni Bredice has released Triptronic, an effort that is labyrinthine in terms of the twists and turns that Bredice has placed here. At any one second during the albums, listeners may find themselves up against eighties synth-pop, chillwave, techno, or harder Miami styles. Solar Storm is a perfect microcosm of the distinct approaches that Bredice takes on the 9 efforts on Triptronic, tying together a driving beat with more introspective and airy arrangements. Walking On the Sea feels as if it could be the theme for a late seventies or early eighties sci-fi film, even as there is a current and contemporary sound that is weaved through the track. Listeners will marvel about the epic sound that is crafted by Bredice during this track, as there is a larger than life feeling that is present consistently during Walking On the Sea. The titular track on Triptronic ties together organic and electronic into an all-encompassing duality. The two elements are able to combine and create something that is distinctly better than a separate element could be. While Triptronic is the longest track on Bredice’s latest, listeners will feel as if a fraction of the seven-plus minute run time has passed. Towards the Black Hole is a trippy, eclectic sort of effort that tells more through the interaction of different electronic elements than many bands are able to insert vocally into a song. The track is able to marry Kraftwerk with dark, ambient meets industrial cityscapes. The extended length (the shortest track on Triptronic) of each composition allows ample time to work out a distinct sound and take listeners along for a ride through a panoply of different genres and styles presented. Triptronic is available from CDBaby.